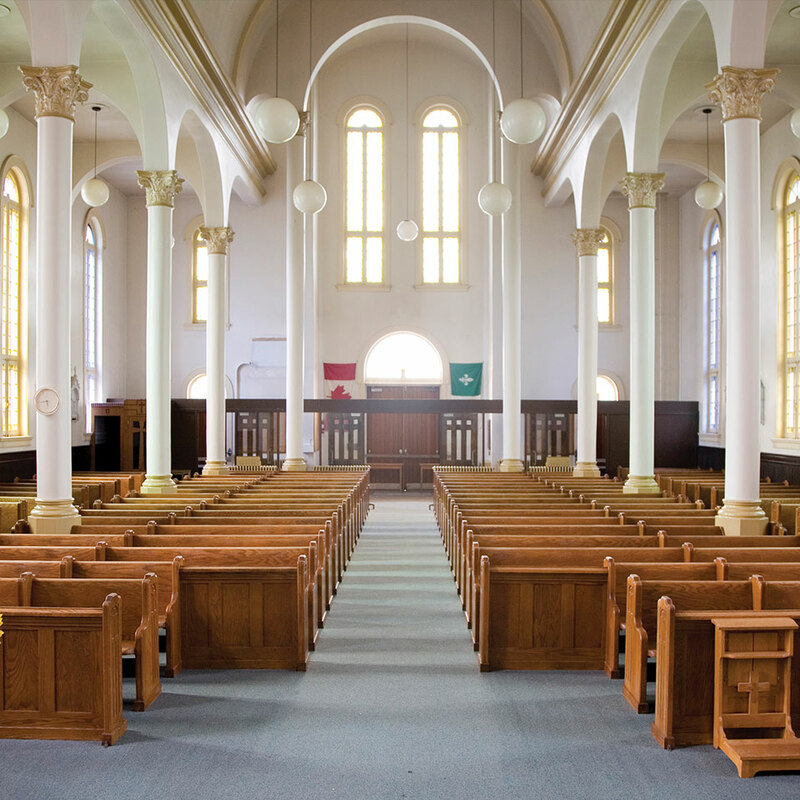 Built in 1908, St. Charles Church is a brilliant example of Quebec Neoclassical architecture. The church was designed by renowned Quebec architect Charles Brodeur – designer of many other landmark buildings in Ottawa, including St. Francis Catholic Church on Wellington Street and St. Charles School on Springfield Road. St. Charles is typical of the style of churches built in the early 1900s in Canada. It is a wooden structure, clad in brick and has a simple, formal composition emphasizing its verticality with tall windows and an entrance tower topped with a wooden belfry. Historically, the church has been recognized as the community’s heart. Not only a venue to practice one’s religion, the church was also the central hub, the gathering place, the community’s centre. A cornerstone of the area’s Francophone heritage, St. Charles Church is a living symbol of the Francophone presence in Beechwood Village. Bright and open Quebec Neoclassical design. St. Charles Church was the birthplace of a secret society known as the Order of Jacques-Cartier; founded in 1926 by a small group of men including Father Francois-Xavier Barrette, parish priest at St. Charles. Its mandate was to ensure the public interest of the French-speaking Catholics in Canada by training elite workers to promote their interests. The power of the Order could be felt in all aspects of life in French Canada, until its dissolution in 1965. At its peak, the Order had 504 local groups divided into 1,140 communities, with membership exceeding 11,000. Its numerous organizations included the Fédération des Caisses Populaires de l’Ontario and Richelieu International, composed today of 275 clubs including 8 in Ottawa. 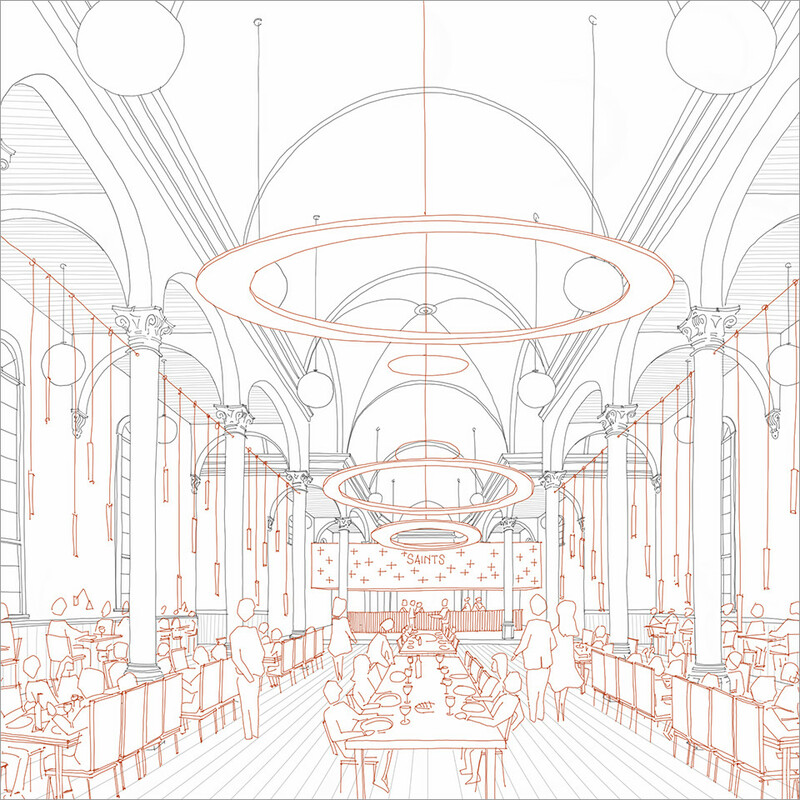 Architect’s vision for how the space will continue to be animated. The Church held its last service in 2010 and by 2013 it was deconsecrated and later designated as an Ontario Heritage Building. ModBox acquired the building in 2014 and committed themselves to keeping the church open and accessible to the public. In the past three years, ModBox hosted several community events at the church including: a weekly farmers’ market, food truck rallies, community social events, Shakespeare in the Park, Ottawa Pride parties, private parties and weddings. 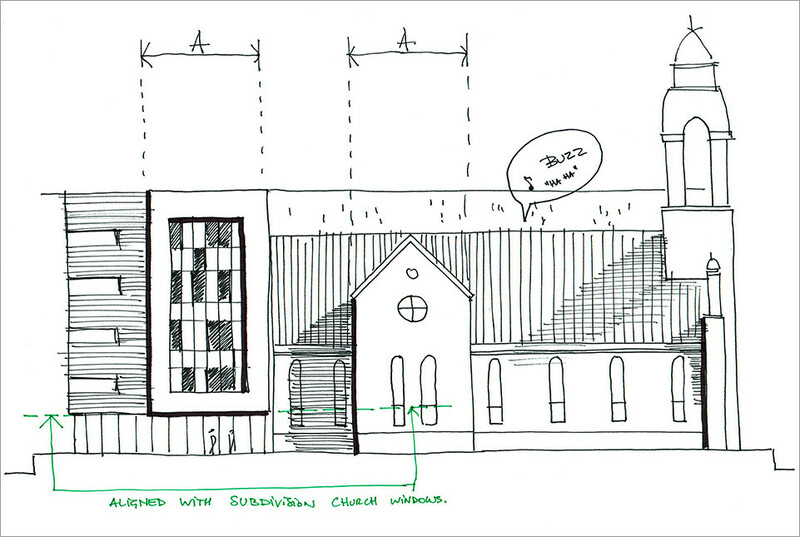 In the interim, Linebox worked on developing a thoughtful and intelligent design plan for the entire site. 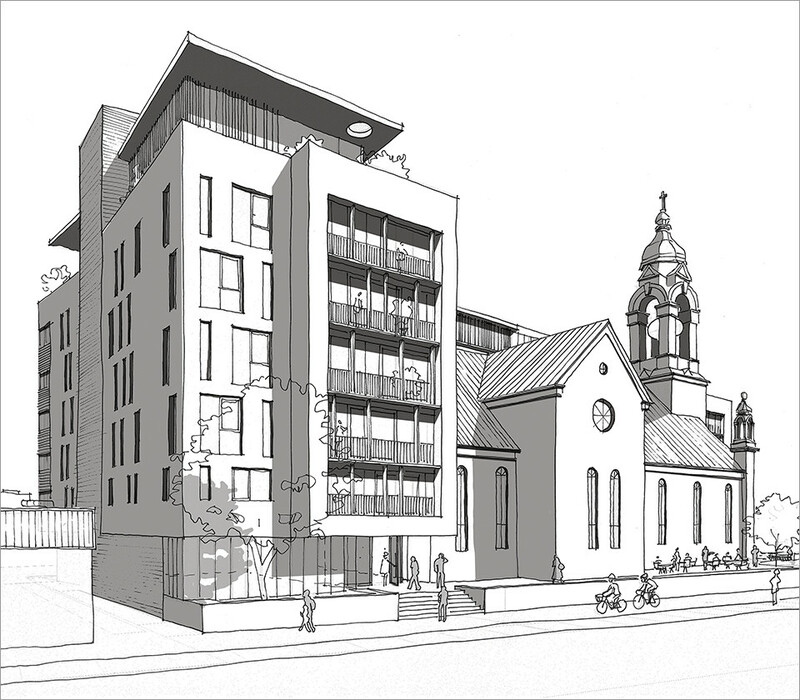 The result is an impressive residential address with 54 uniquely designed horizontal homes and 3 stunning townhomes wrapping the original church structure. 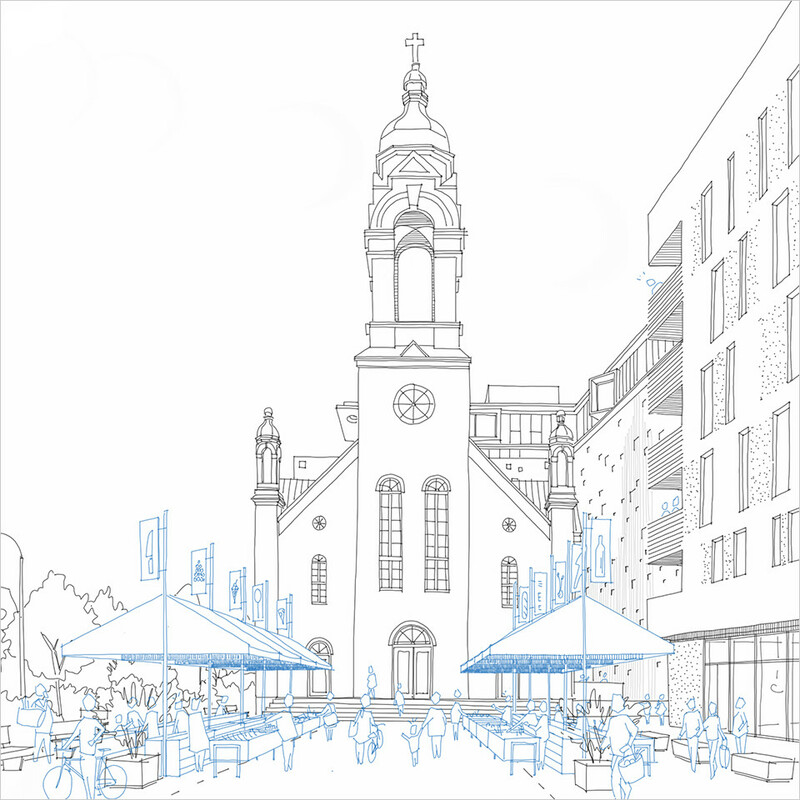 The old St. Charles Church building will transition into an exciting marketplace and restaurant creating a vibrant new destination that will once again take its place at the community’s centre. The once neon blue cross will be lit once again as a celebration of the newly invigorated site. First erected in 1913, the iconic St. Charles church bells were rung three times a day (6 am, noon and 6 pm) to signify the time for communal service or prayer; and to mark special occasions such as weddings and funerals. When the church was deconsecrated in 2014 prior to its sale, the bell was also deconsecrated and taken down. 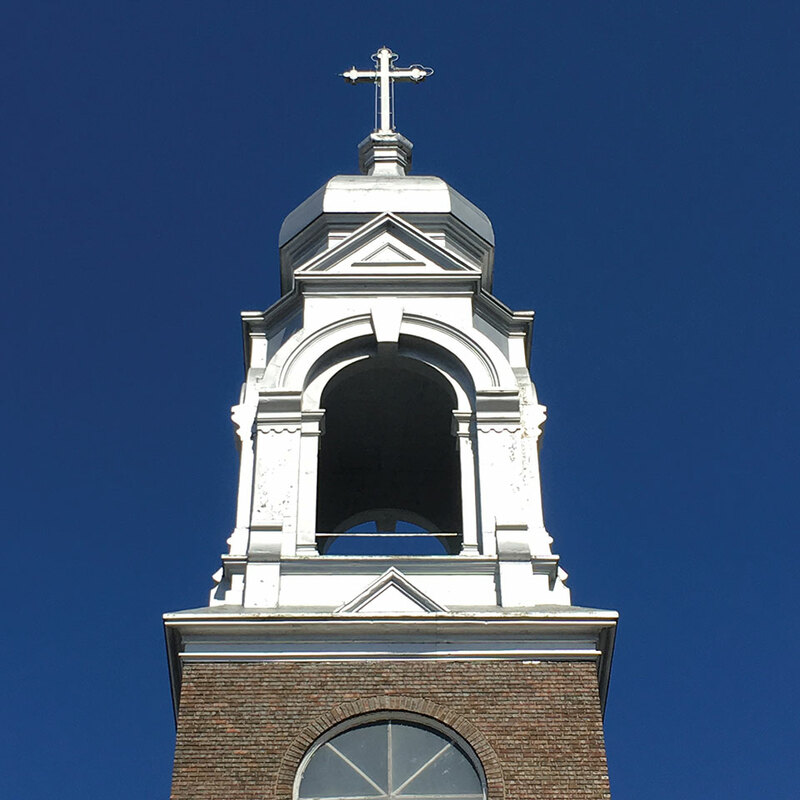 Although there is no longer a bell in the tower, the bell tower will be illuminated along with the cross at the top of its steeple to celebrate the restoration of St. Charles Market as a vibrant community gathering place.